Choosing wedding entertainment in New York doesn’t have to be a difficult task! Plan for a wedding can get extensive and intense. Living in New York, we are at the mecca of musical entertainment! You may think it is a daunting task, however there is one band that stands out amongst the crowd: East Coast! The music is such a key element for your wedding day. Having a live band can give a fresh take on your typical wedding entertainment. A live band will interact appropriately with your guests and they can transition between songs with unique musical talent. Many couples these days go for a live band or a band/DJ combination. East Coast is able to provide such combinations in order to tailor to your needs. Every bride and groom can agree on the fact that the entertainment has to be just perfect. 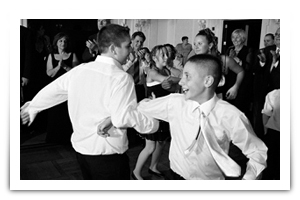 The music can set the right mood and is the key to ensure you and your guests are having a good time. Choose East Coast and let us fit your vision for your big day!